Currently I’ve been evening out my workouts between teaching and me time. In the last week, I had my third week of pole course. I also attended a Pilates class and Frame Work (a mix of ballet, dance, Pilates and yoga). 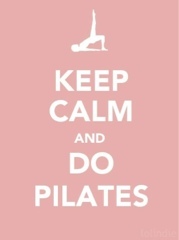 It’s been a long time since I’ve been to a Pilates class after the timetable at my work place changed in the summer. It’s a class I really need to help me with my posture, lordosis (curvature of the lower spine) and to increase my core strength. This class at Shoreditch Pilates was different to any I had ever been to before! Sure we did lots of core work, but it was also dynamic and included a lot of arm work which is great progress towards my personal goals. On top of all this, I attended yoga on Tuesday which is great after pole to stretch out my shoulders and upper body. I also unlocked Leah Kim’s advanced yoga workout on the NTC app at 2000mins! It was an enjoyable 45 minute routine but I found some of the cues a little off time and confusing! I topped that up with the Jeanette Jenkins 15 minute ab blast and that was me for the day! A 45 minute Zumba core class on the wii another day topped up with a 15 minute NTC get focused abdominal workout and that was another day! How are you making it count before Christmas?! Move and Prove here! By the way: I attended the Shoreditch Pilates class using the 0calendar free class in December offer. I paid to attend class at Frame.